Interested in helping out the Community? Join our professional Board of Directors. Are you an active community member? 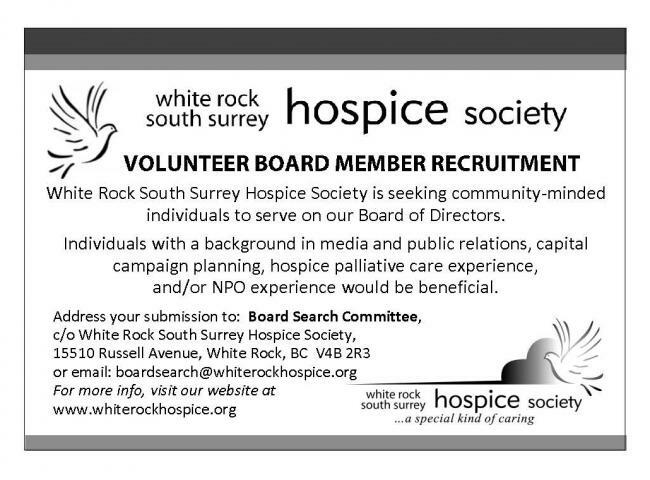 White Rock South Surrey Hospice Society (WRSSHS) is a community-based, registered charitable Society that provides emotional, practical, and spititual support to individuals, their fgamily and friends, who are facing advanced illness or bereavementl The society is comprised of a Board of directors,k a small but dedicated and effective staffk more than 300 volunteers and members of the general public who have current membership. 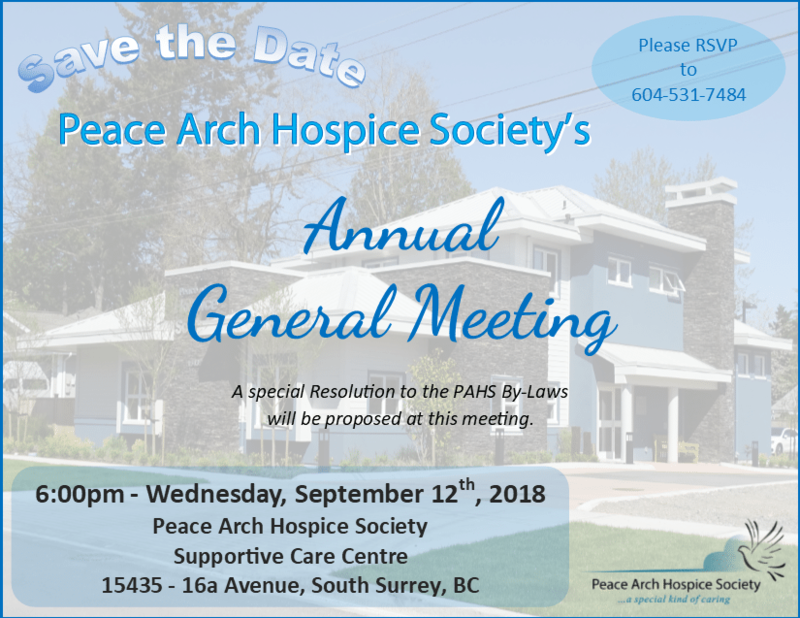 The Society has a 33 year history and , guided by its strtegic plan, is poised for significant advances to continue to addre3ss the community’s needs into the future. We are currently seeking a number of dedicated community-minded individuals to serve on our Board of directors. 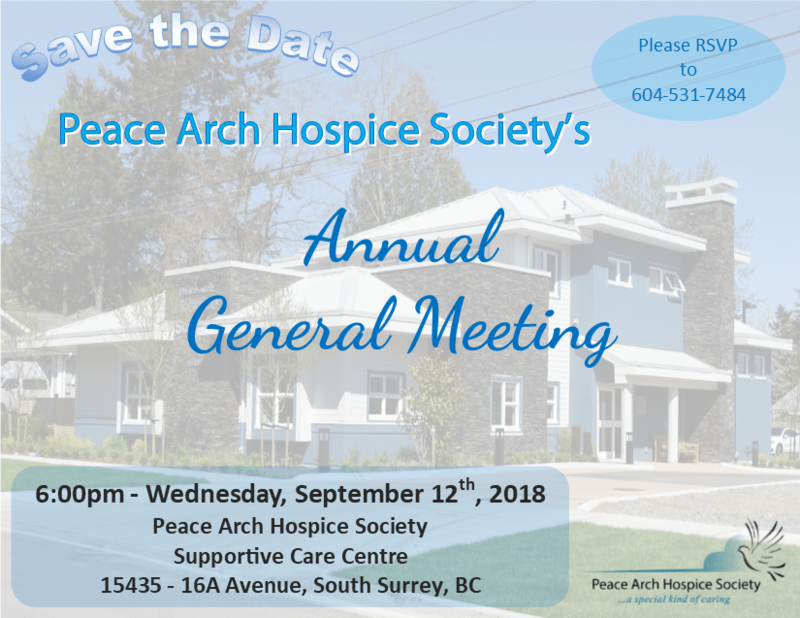 The next few years will be eventful and pivotal in the Society’s history as we create a new Supportive Care Centre from which our programs and services will be based. The Board of Directors meets monthly, and directors are also active on at least one committee of the Board. Current Board directors who volunteer their time, talents, and energy generally average a total commitment of 5 to 10 hours per month. A Director’s term of office is two years and there are term limits of three consecutive terms. At this time WRSSHS is looking for individuals who are active community members with a background in media and public relations and/or capital campaign planning to join a dedicated Board. Prior NPO Board experience is beneficial but not necessary. If you see the Society’s work blending with your values, experience and capacilities, and would like this opportunity to contribute to our community, we’d love to hear from you. Please write to us and indicate your interest in a two year commitment to a Board of Directors position and include your resume.